D'Nel Speaks (D.D OGIDE) is an anointed RAP'VANGELIST, a member of the Rap Nation BLW, LMAM, who received a recognition Award in June'2014 from Rev. Dr. Chris OYAKHILOME PhD for magnifying his office as a music minister and inspiring the world around him. 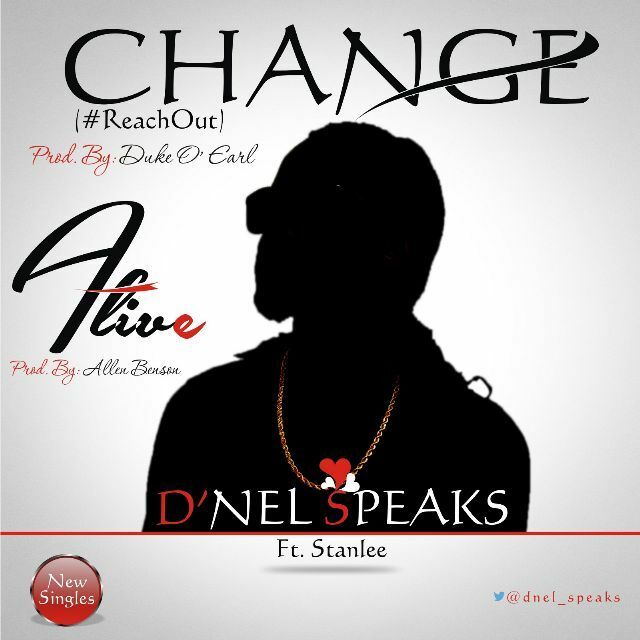 CHANGE(#ReachOut)_Featuring StanLee_ prod. By @Duke_O_Earl is a reach out song inspired by the Spirit of God to complement our work of faith as master Soul winners. NOTE: Nigerians my Nigeria, only a Nigeria will build Nigeria. Lets #ReachOut to inside and the outside of our world with the Message of FAITH, HOPE, AND LOVE; Let the liquid Love of God flows through you to your world. Lets became a BLESSING and not the BLESSED. Being a Blessing simply means that through you many are being Blessed.